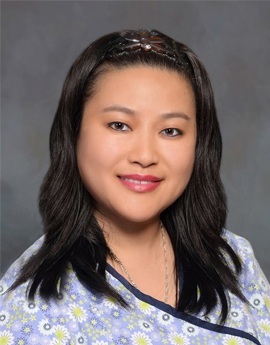 Dr Chen has been practicing general dentistry in Central Florida which has also been her home base for the last 18 years. She has performed all aspects of dentistry including restoration of dental implants, endodontics, crown and bridge, removable prosthodontics, and cosmetic dentistry involving veneers. Some of the new dental technology that she has had the opportunity to work with include rotary endodontics, CERAC ceramics, digital radiography and electronic charting. In addition to practicing dentistry in the private sector, she has also had the opportunity to work in and provide dental care to patients in the VA hospital setting where she completed her dental residency, and in the Public Health Care sector where she served as a member of a team of five dentists providing dental health care to the under served population in areas of Osceola county for 4 years, before then returning to private practice. Dr. Chen appreciates dentistry for the opportunity to make a difference in a person’s smile and, to provide a meaningful service which could make a difference in someone’s life. The opportunity to help someone look and feel better about their dental health and how others may view them can be very rewarding in itself. Though Dentistry is a very technical skill, she also enjoys getting to know the person sitting in the dental chair. For her, it is also about the people, and the personal interaction and relationships that form as a result. Dr. Chen looks forward to getting to know you and your family, and helping you on your way to optimal dental health.